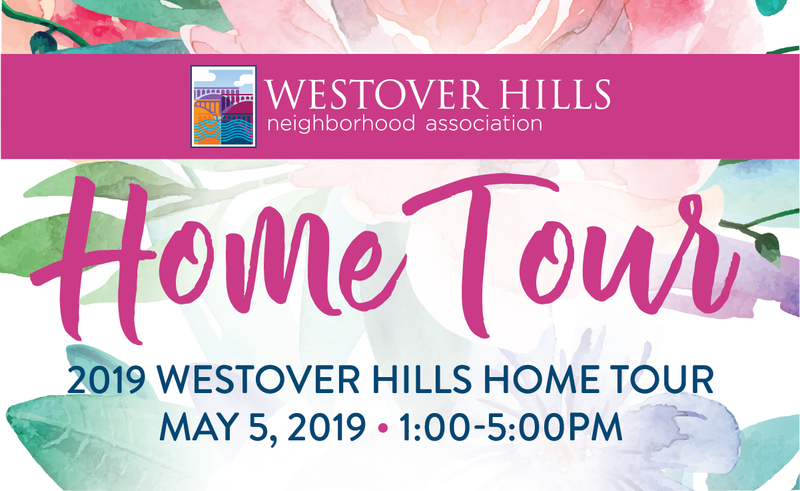 The 2019 Westover Hills Home Tour is set for May 5 from 1 to 5 p.m., featuring 8 beautiful homes. For WHNA members, tickets are $15 in advance or $20 on the day of the tour. For nonmembers, tickets are $20 in advance or $25 on the day of the tour. You can buy tickets in advance at Westover Station (formerly Cafe Zata) or online right here. On the day of the tour, tickets will be available at 5005 New Kent Road starting at 12:30 p.m.
On the day of the event, take your Eventbrite email/ticket to any of the homes listed to get your wrist band and program! If you need tickets on the day of the event, start with 5005 New Kent Road to purchase. For more about these homes, click HERE.